Finally... Mamma Agata's extra Virgin Olive oil!!! After more than a decade of requests... the wait is over!!! 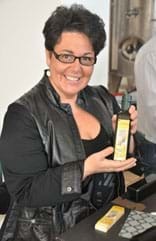 We are thrilled to announce the launch of Mamma Agata's Extra Virgin Olive Oil, our newest and most exciting endeavour! 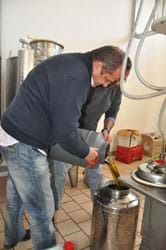 It has been a JOY preparing for this special moment, when we can share the passion and LOVE that goes into the preparation of Mamma Agata's Extra Virgin Olive Oil. After much discussion in the family... and many slices of bread dipping into our homemade Extra Virgin olive oil... we all decided to begin developing our own Extra Virgin Olive!! 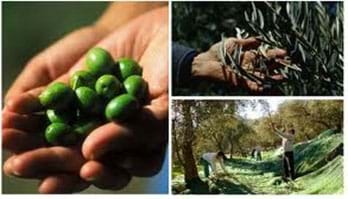 We invite you to come along with us on our journey about the history and secrets behind Mamma Agata's Extra Virgin olive oil! We know that you will love bringing the flavours of the Amalfi Coast and the tastes of Mamma Agata's kitchen into your own home!!! If there is one thing that is essential in our Italian kitchen besides LOVE and PASSION... it is the Extra Virgin Olive Oil! In our family kitchen it's a treasured ingredient... one that is such an important part of our traditional family recipes. When Mamma Agata and Gennaro are cooking for our family or for our cooking classes, we use only the freshest and highest quality ingredients... and of course this is true for our Extra Virgin Olive Oil! 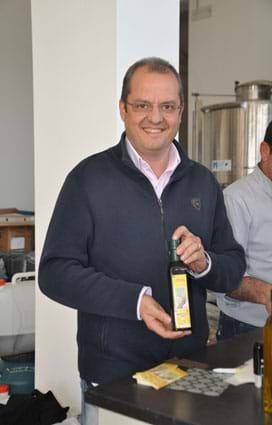 Our students have always told us how AMAZING and delicious our Extra Virgin Olive Oil is, and now we are so happy to share it... from our kitchen to yours!!! Our Extra Virgin Olive Oil is proudly made with only the best Italian local olives and following ancient methods that guarantee a wonderful quality and flavour. Only the best to pass the tests for Mamma Agata!! 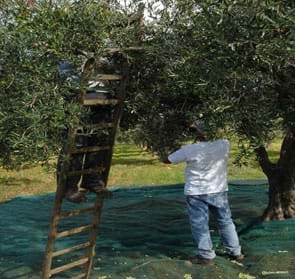 It all begins with the "Rotondella" Olive, a variety of olive tree found in southern Italy, mainly in the area of Salerno. The name "Rotondella" derives from the rounded shape of the form of olives. 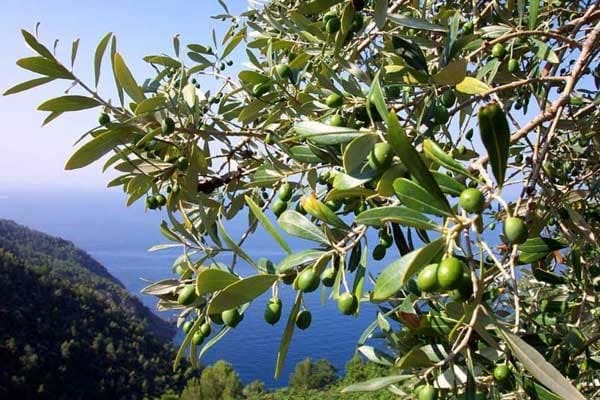 This wonderful variety of olive tree has been introduced in the Alburni territory and in many different areas of Cilento several centuries B.C. but, the "Focesi" Greek colony was originally from Asia Minor. An ancient plant of medium vigour, with thick foliage, and fruit-bearing fragile branches are delicately cultivated during the Harvest. 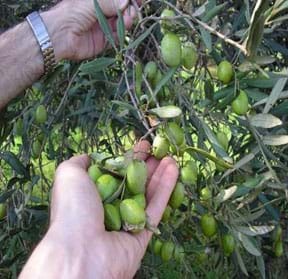 Between the many characteristics of this olive tree, the most important is its high resistance with low temperatures and dry periods. The perfect habitat for this tree is in the southern hill areas with an altitude of 400-600 meters above the sea level, with a rock soil and south exposure. 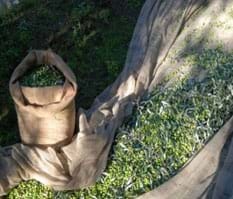 With these optimal conditions, the Rotondella Olive doesn't need any particular treatment, with the exception of pruning and fertilizing. 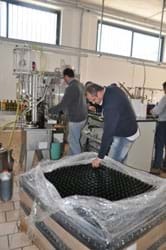 The "Rotondella" olive is very much appreciated for productivity and quality of the oil and is included in the standard rules of the production of the DOP Oils in the "Salerno Hills" and the "Sorrentina Peninsula". 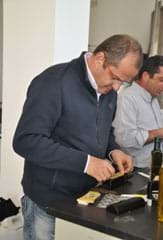 The collecting is done exclusively by hand and the Extra Virgin Olive oil is obtained through the cold mechanic pressing made on the same day of the harvesting. It is decanted for about 30 days in stainless recipients without any other filtrations. This Extra Virgin Olive oil has a green straw-yellow colour with a good vivacity and intensity, often clear. 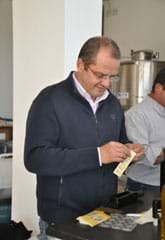 At the olfactory exam the oil resulted with a delicate fruit aroma, with notes of apple and green leaves. The taste is soft and delicate, fresh olive, principally sweet with bitter and spicy imperceptible notes. 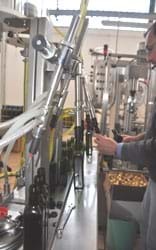 The consistency of the oil is fluid, with evident flavours of pinenuts and slight aftertaste of hazelnuts and almonds. 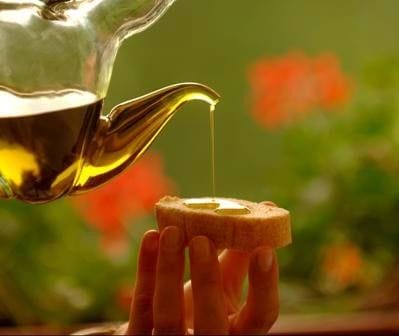 The acidity of the Extra Virgin Olive oil is always lower of the 0,70% . 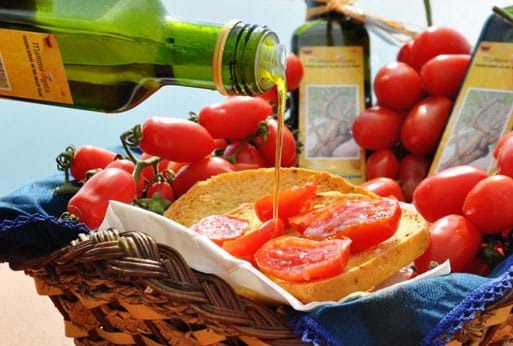 This Extra Virgin Olive oil is the key product of the famous Mediterranean Diet. 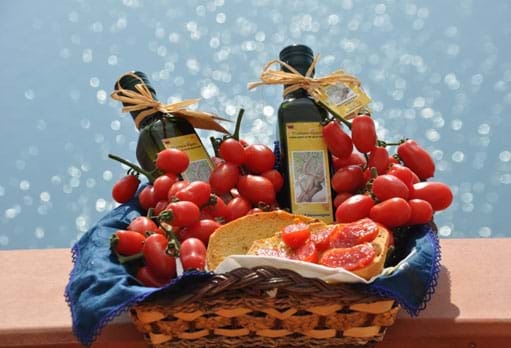 The fresh aromas in this olive oil make it the ideal "conditioner" for all servings of high consistency, and typical of the original area; grilled fish, wild salads, organic vegetables, and legumes. The whole experience... was an incredible challenge and another wonderful Gennaro's creation... besides his red wine "Santi Medici"!!!!! The whole experience was a new challenge for the whole family... but we are so proud of our new "baby"... a wonderful satisfaction! 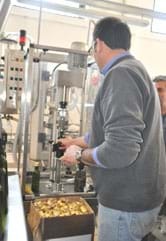 Producing the oil... from only the best olives of our land... bottling it... designing the label... being ready to preserve it in the best way from sunlight and climate... it was priceless! Once you see all the efforts in creating such a wonderful product from the hard work in the land and respecting the environment, your taste buds will understand why it is superior. 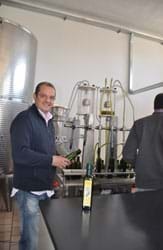 We the family, and especially Gennaro, who is a olive oil tester and the creator of our extra virgin olive oil are now ready and honoured to share with our extended family, the "birth" of Mamma Agata's Extra Virgin Olive Oil! 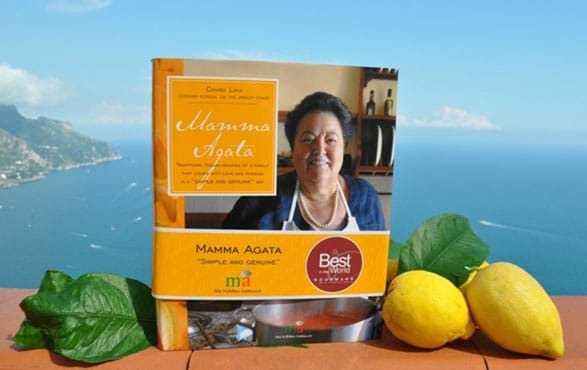 You'll find many recipes in our cookbook Mamma Agata: Simple and Genuine, and we know you'll enjoy combining with love and passion Mamma Agata's family recipes with a taste of Italy with Mamma Agata's Pasta! !